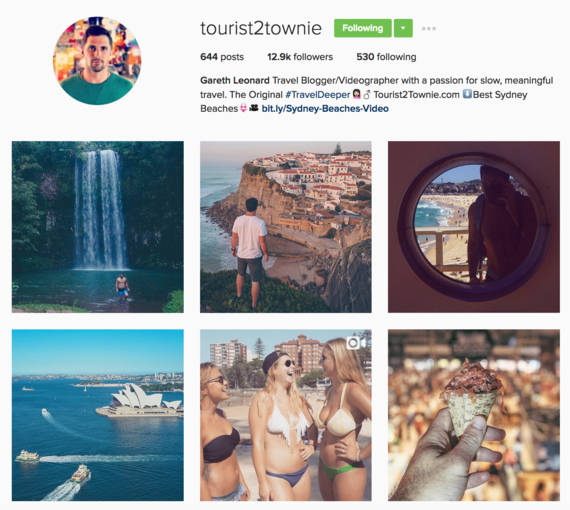 Instagram is a fantastic resource for travelers. It provides travel inspiration, can introduce you to new destinations and allows you get to know people as they travel the world. 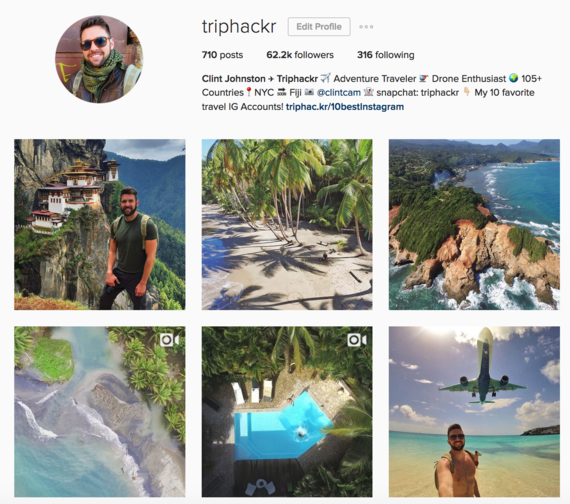 I've made some great friends through the Instagram travel community and they've inspired me to see new places and help others do the same. 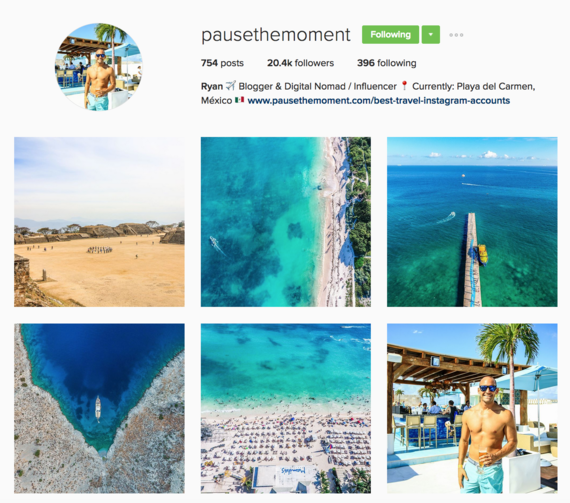 Over the years I've come to really enjoy these 10 travel Instagram accounts as they take us on their adventures around the world. For this list let's set aside the full-time professional photographers, contributor accounts, and travel companies. Otherwise I'd post links to all National Geographic photographers and accounts that collect the best photos on the planet. 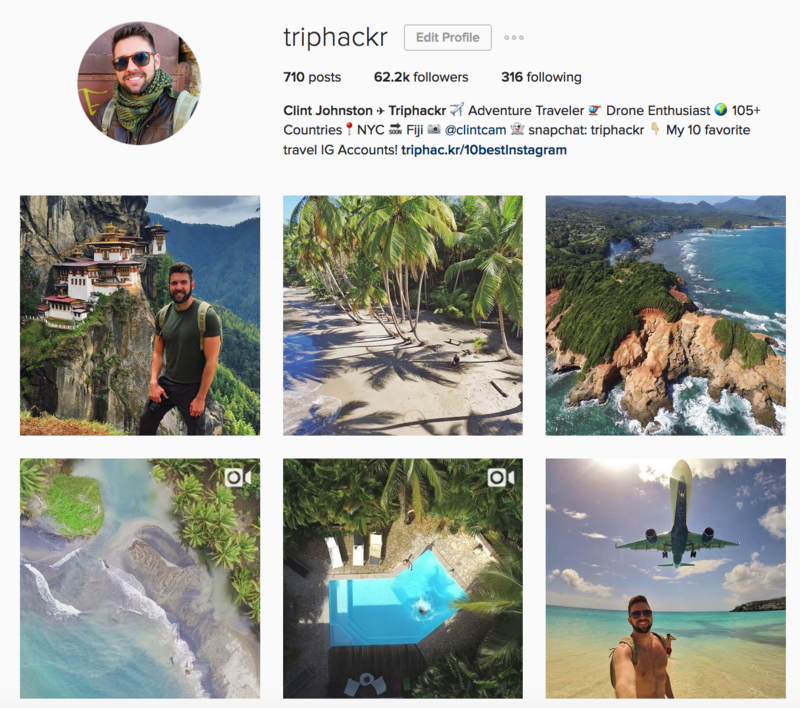 While I enjoy those accounts, I prefer to follow travelers who are photographers, storytellers, and inspire us to travel more all in once place. 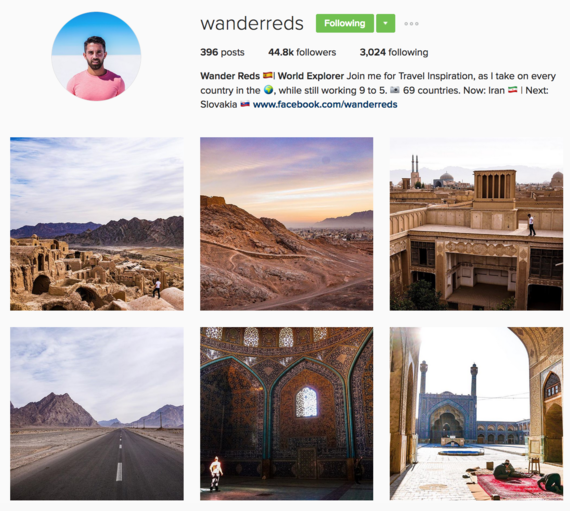 These Instagram travel accounts will introduce you to their favorite places through their own eyes, tell you their story, and invite you to tag along through each of their accounts. 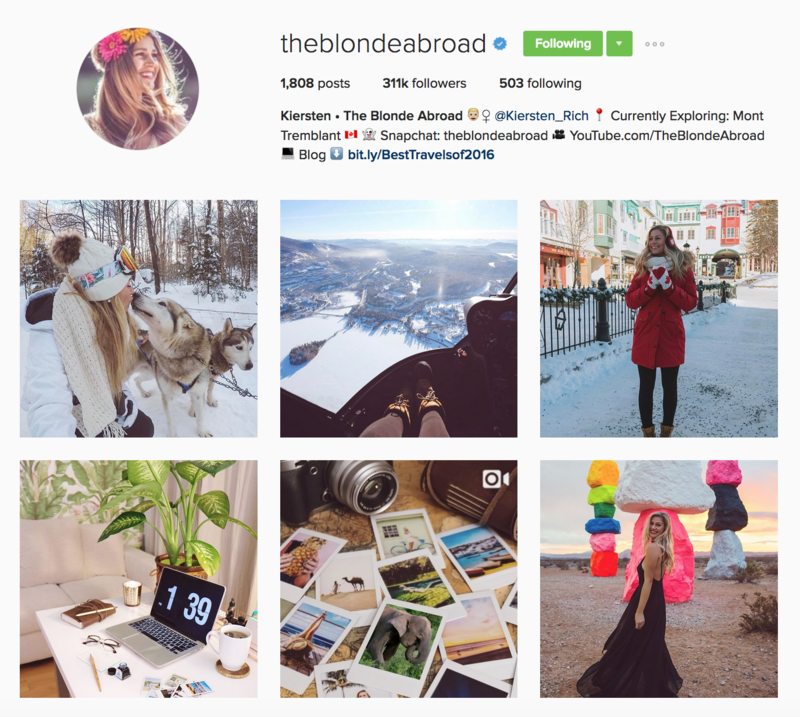 Lets get to know my all-around favorite travel Instagram accounts. Hands down the best adventurer I know. Matt is always doing something badass in some place I've unknown. 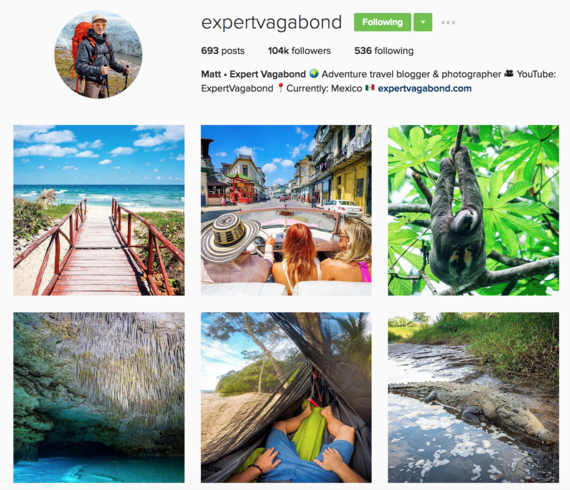 Catch up with him on Instagram where he takes us to amazing places with his incredible photography skills and sense of adventure. 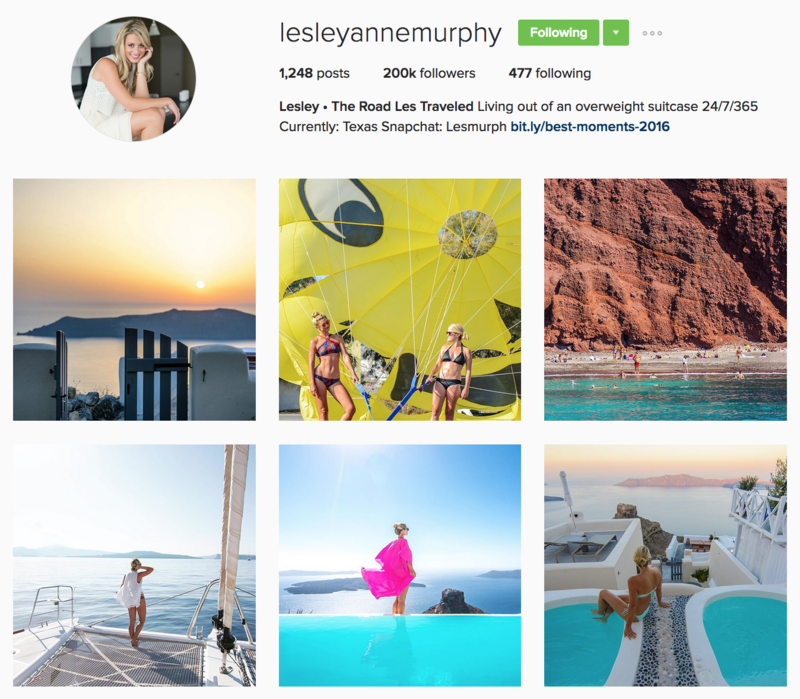 Les makes me want to step up my travel game every time I see her post a new photo. 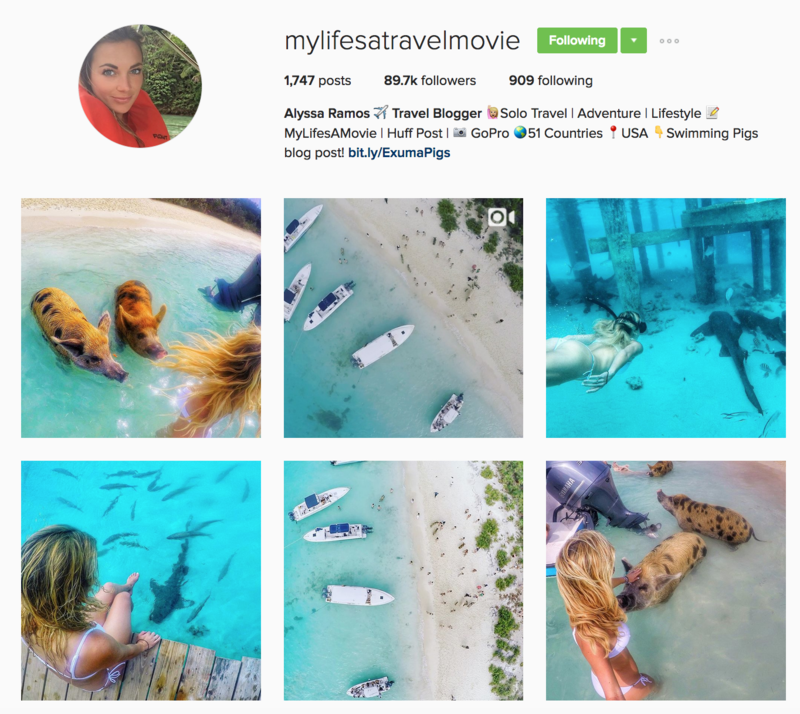 She's one of the most adventurous people around and puts a new perspective on amazing destinations around the world. 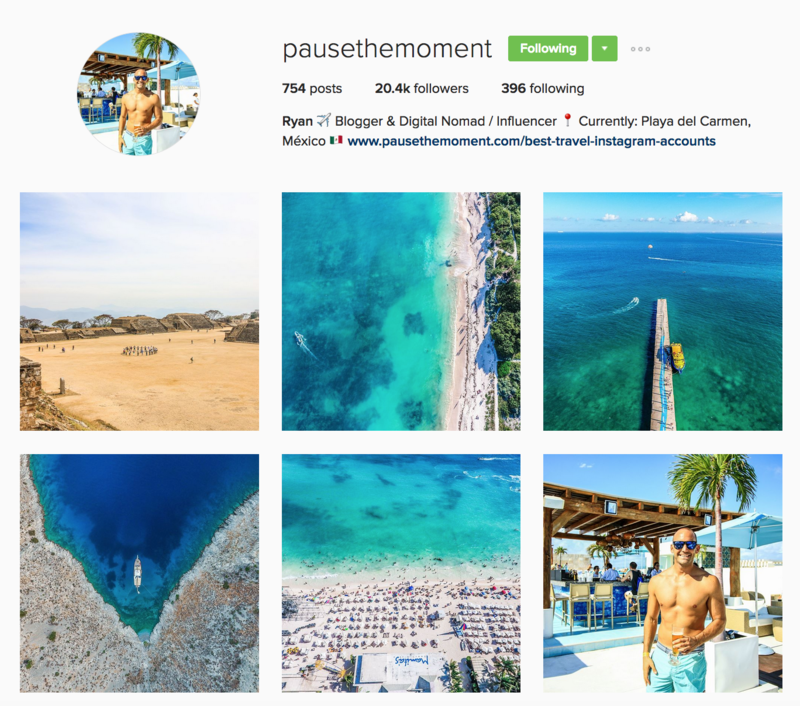 Ryan is the man behind Pause the Moment and he's often chilling in Mexico or flying his drone over some amazing scenery. Ryan is great and taking you into his daily life no matter where tat may be. 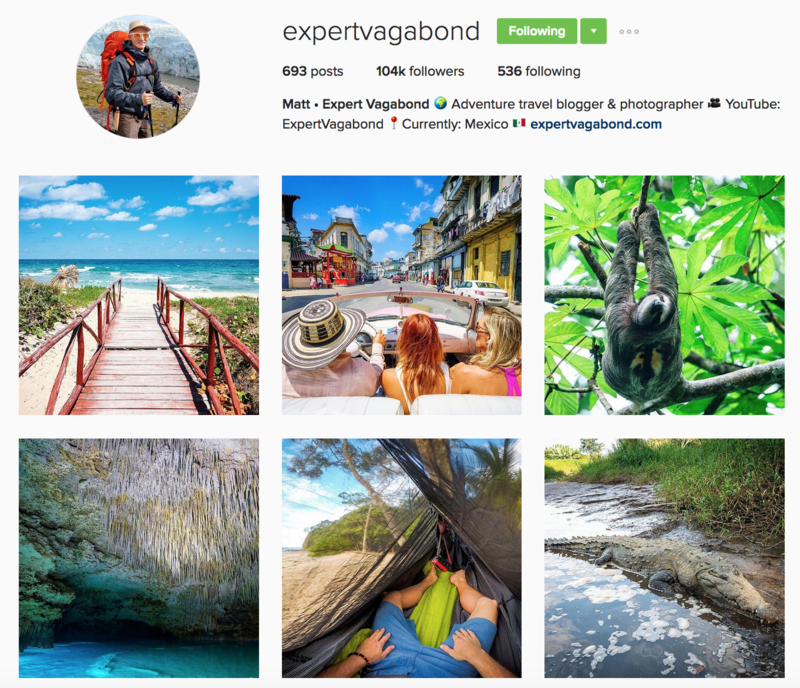 Follow his amazing adventures from around the world. If you don't follow Kiersten by now you are missing out! 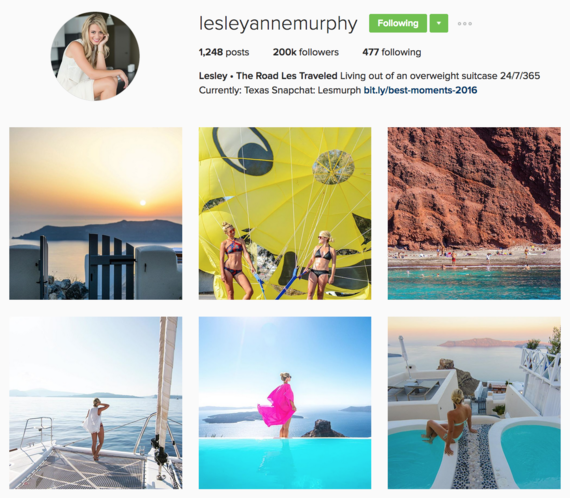 She's always up to something fun and is a huge inspiration to travel. Whether she's introducing you to a new city, festival, or destination I'm always excited to see where she'll go next. Gareth values relationships formed over countries visited which is something anyone can admire. 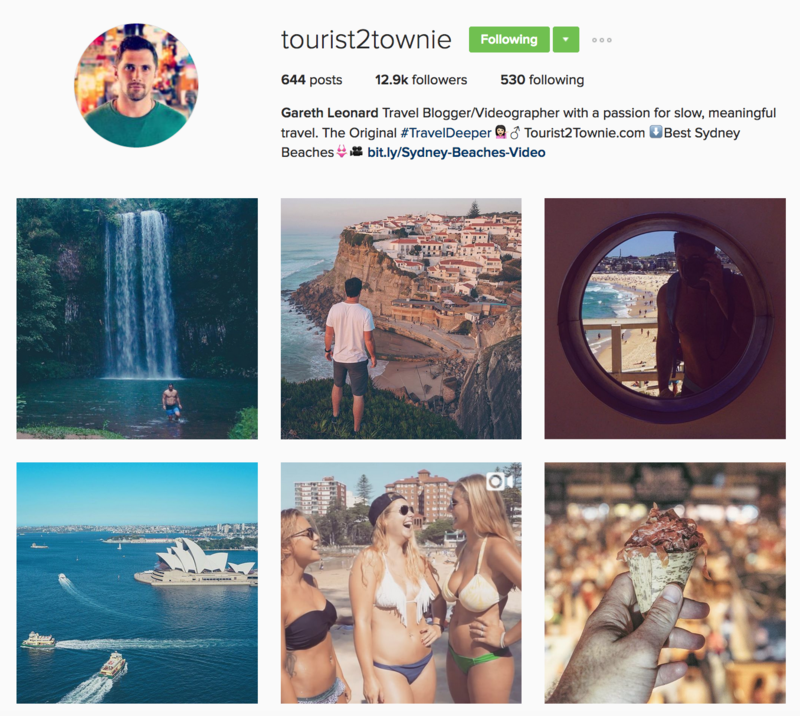 He also makes some of the best travel videos of anyone I know and shares some of his best work on Instagram. 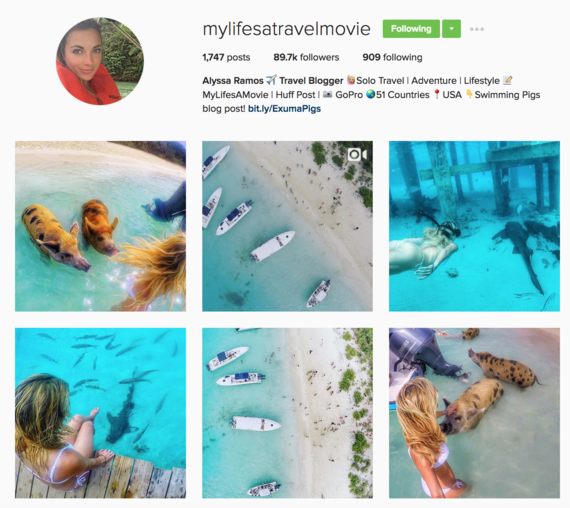 Alyssa is one of the most fun solo travelers out there. She is always putting a unique perspective on her travel photos and visiting amazing places. 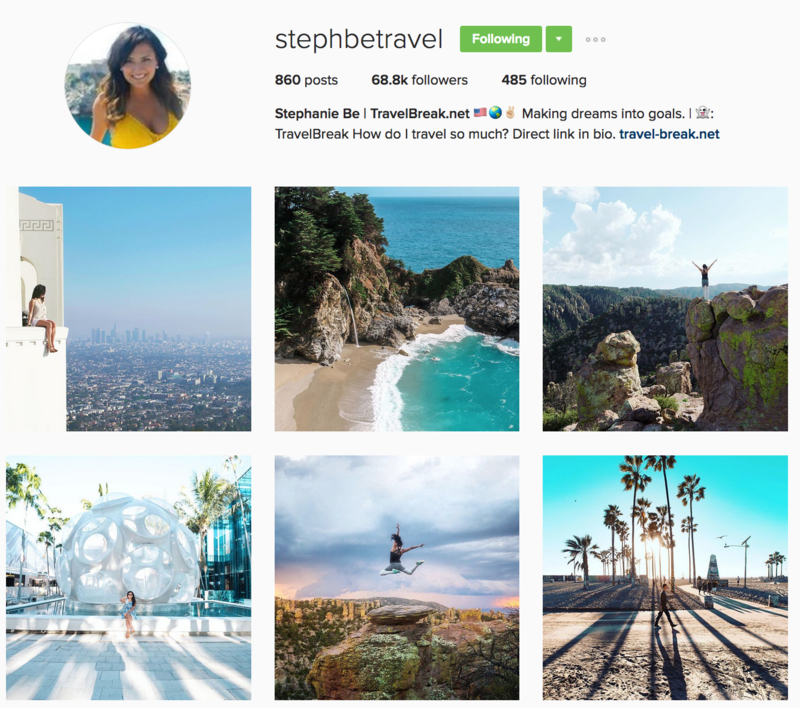 Let her travel photos inspire your next adventure! 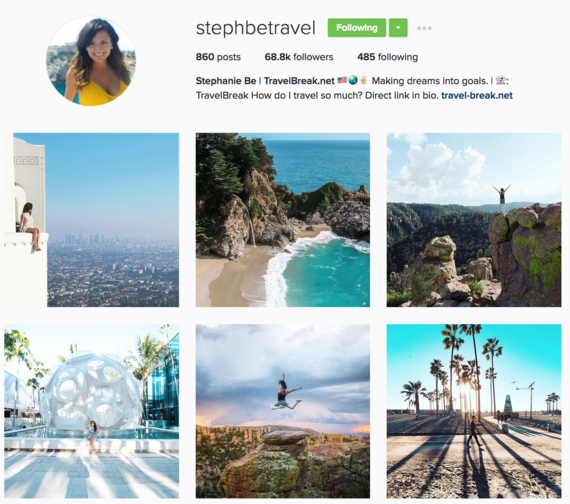 Steph has found a way to flawlessly combine travel, inspiration, and style. She's always keeping her audience motivated and engaged which is something I really like about her. 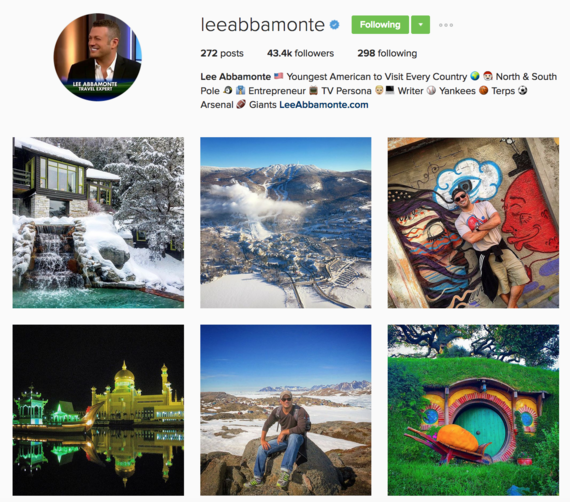 Lee is one of the world's most traveled people. He's the youngest American to travel to every country in the world and been one of my biggest motivations and inspirations to explore new places. 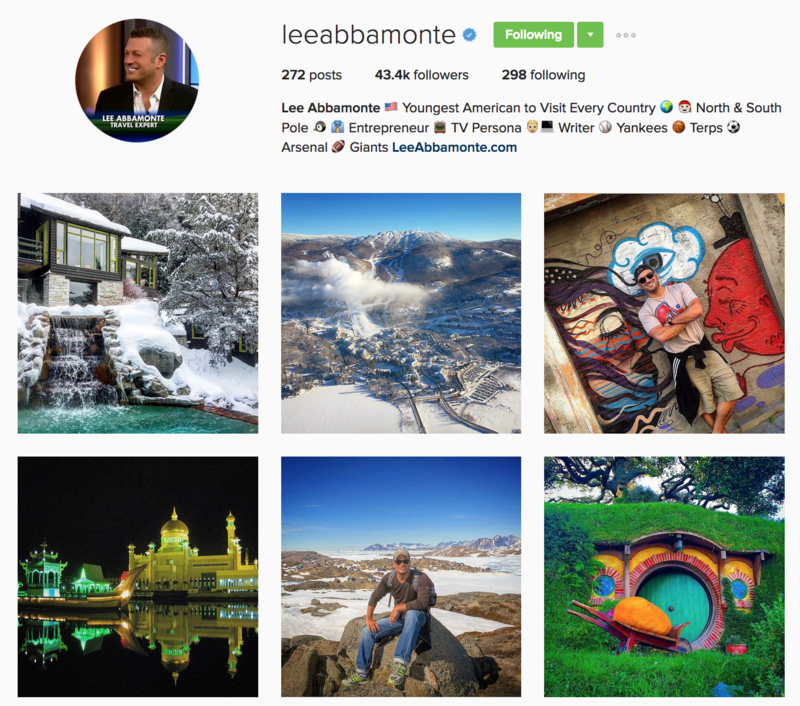 Try and keep up with Lee as he heads to some of the world's most hard to reach places. Alvaro, better known as Wander Reds, is from Spain and has been to 69 countries all while working a 9-5 job. 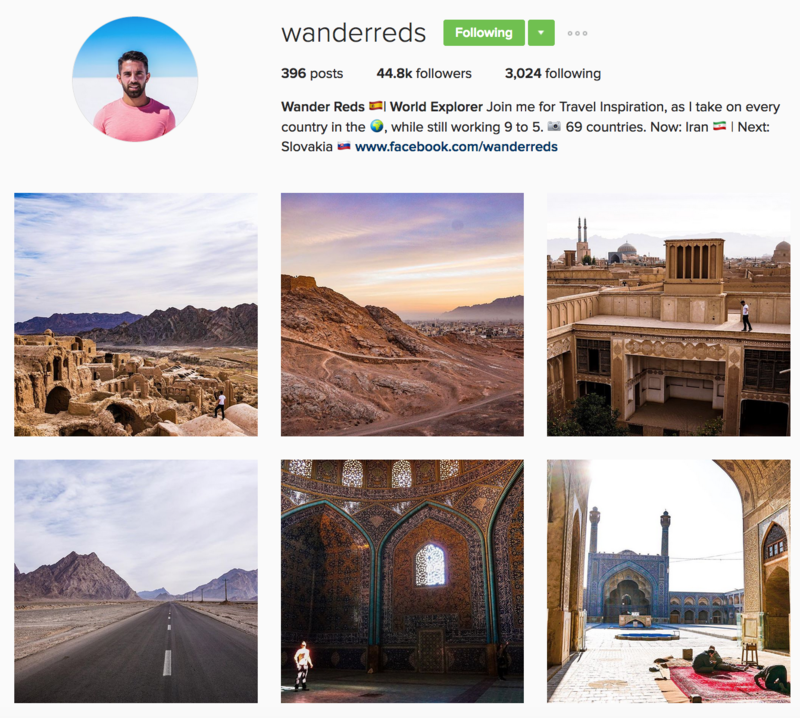 He takes incredible photos around the world and he's always quick to reply to a travel question. If he can travel while working the 9-5 there is hope for us all! 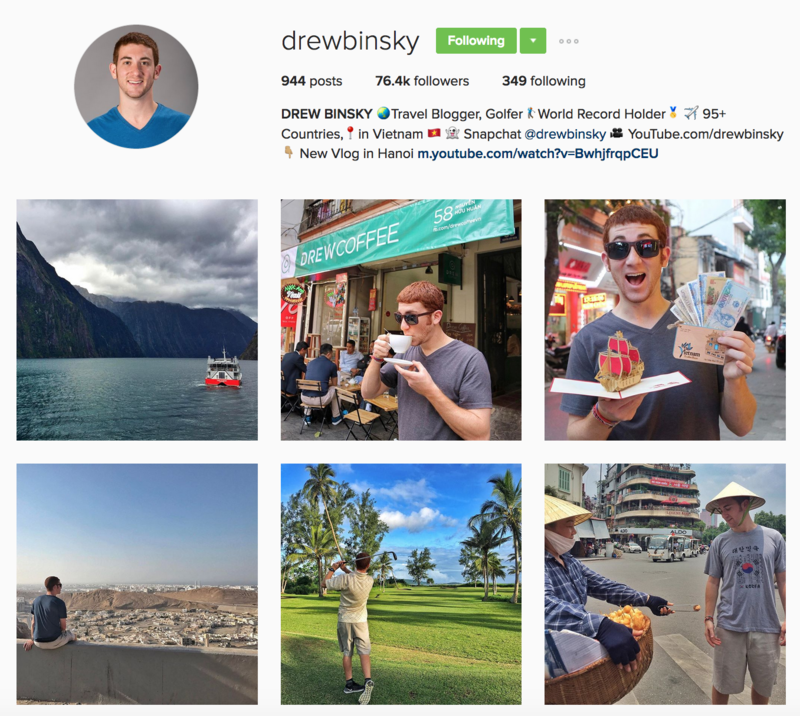 Travel blogger, golfer, and world record holder is how Drew describes himself. He has been to almost 100 countries and currently lives in Vietnam. His Snapchat stories are amazing but so are his Instagram photos. Yep, that's me! My goal has always been to help more people travel and show them travel doesn't have to be expensive. 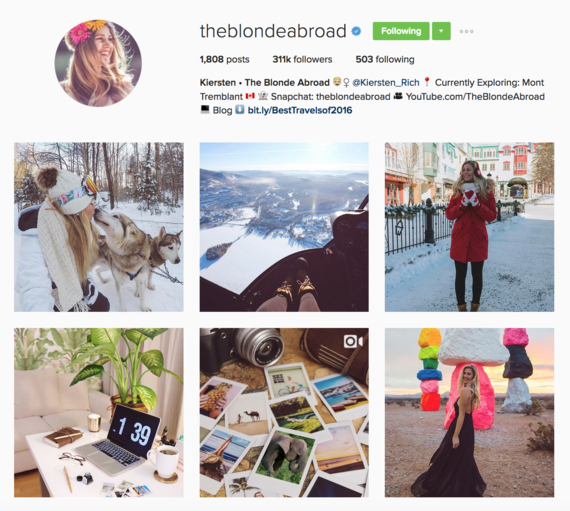 I'm always here to answer a travel question on Instagram and add myself to my own travel Instagram lists! 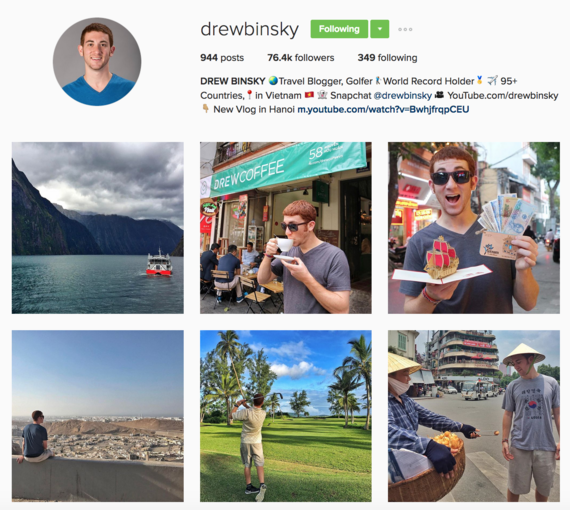 Follow along on my 2017 adventures. Did I leave out your favorite account? Leave a link in the comment section and I'll check it out! This post originally appeared on triphackr.com.